Lemon Sage Butter Roasted Turkey. Juicy and succulent, this sage butter roasted turkey with maple roasted vegetables makes a wonderful addition to a Thanksgiving table or any Sunday dinner. Thanksgiving may still be a ways away for our American cousins south of the border. But here in Canada, it is only right around the corner. One of the biggest turkey days of the year deserves a great recipe. Here’s a delicious idea for a very flavourful lemon sage butter roasted turkey that your guests will love. The lemon sage butter gets tucked under the skin of the bird to infuse its flavour directly into the meat. It also adds extra moisture to ensure a succulent, juicy turkey. The cavity of the turkey gets stuffed with extra aromatic lemon and sage do that the flavour infuses from inside and out. If you’re looking for an easy and delicious way to depart from your traditional roast turkey, this is the recipe you need. Some delicious Maple Roasted Vegetables are pictured with this tasty turkey too. Like this Lemon Sage Butter Roasted Turkey recipe? 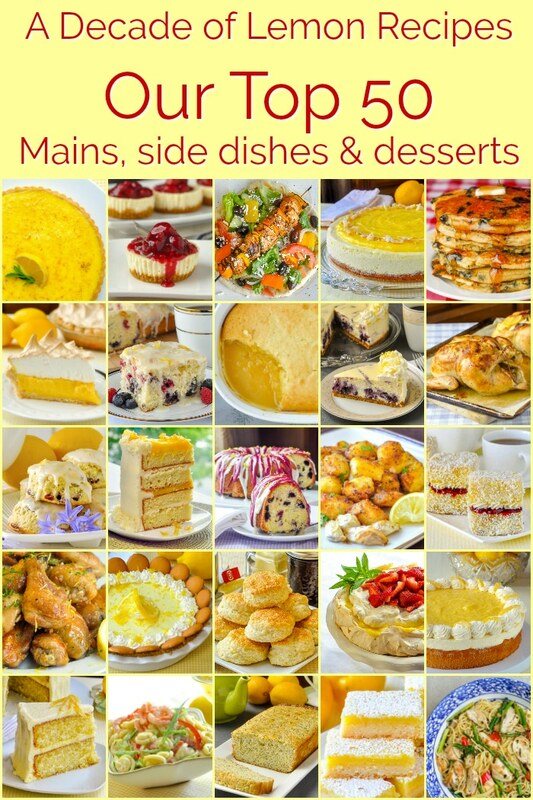 You’ll find other great side dishes to accompany your Thanksgiving or feast in great collection Side Dish Recipes. You might also like our collection of Best Thanksgiving Side Dishes, which are also great at Christmas or at family dinners year round. The lemon sage butter gets tucked under the skin of the bird to infuse its flavor directly into the meat while adding extra moisture to ensure a succulent, juicy turkey. Beat together the butter, lemon zest, salt, pepper, sage and minced garlic until well combined. Loosen the skin on the breasts and thighs of the turkey by very gently pushing your fingers between the skin and the meat. Be careful not to tear the skin. Using about a tablespoon of the lemon sage butter at a time, gently push it under the skin all over the turkey. Pat the outside of the turkey to distribute the butter as evenly as you can all over the bird. Place the onion (or shallot), lemon and sage sprigs in the microwave for a minute or so to get them heated before stuffing them into the body cavity of the turkey. 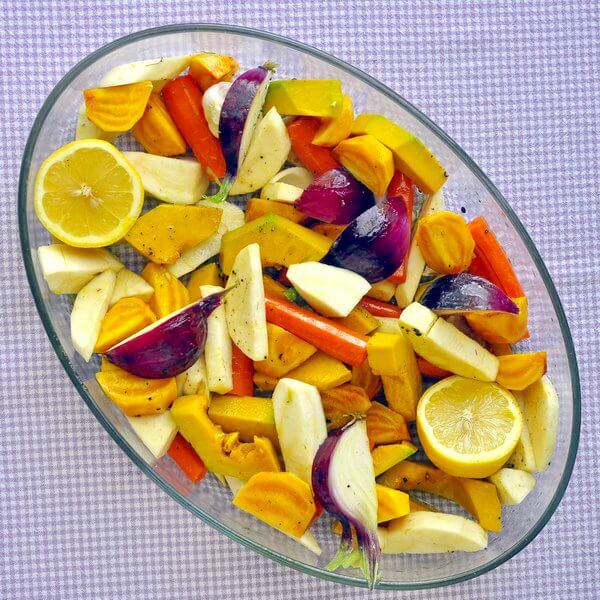 Preheating them helps these aromatics begin to immediately start infusing their flavors as the turkey roasts. Tie the turkey legs together with butcher string and tuck the wing tips under the turkey. Place the turkey on a roasting rack and roast UNCOVERED until the turkey is completely cooked. It is not necessary to baste this turkey. Turkey generally takes about 20 minutes per pound to be completely cooked but sometimes an unstuffed bird will roast more quickly. I ALWAYS use a meat thermometer to ensure that the internal temperature at the center of the thickest part of the breast and thighs has reached 180-185 degrees F. Avoid hitting a bone with your thermometer as this can give an inaccurate reading. ALWAYS let your turkey rest under a tent of aluminum foil for 20 minutes before carving. This step is essential for a juicy turkey; carving a turkey too early can result in drier meat, especially breast meat. The total time for this recipe is an approximation and will depend on the size of the turkey being roasted. Although time per pound is a good guideline, I always use a meat thermometer to ensure the turkey is perfectly cooked. I always recommend taking a reading a half hour or so before the cooking time is up. Individual variances in oven temperature over a long time may actually have the turkey cooked early. Trust the internal temperature of the meat more than your oven setting. Hi have uou a really good recipe for a blueberry buckle or crisp? Thank uou, Don. YUP. Just search for them on this website. Do you brine the Turkey before preparing to roast it? Confused. How would brining after cooking be an option? Since it was not mentioned in the post, do you recommend it with this recipe? 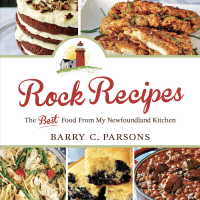 Barry: I would have thought that as a Newf, you would have used Summer Savory. It really does taste better with the Savory! I like to change things up occasionally. It keeps cooking far more interesting, for sure. Not a bad idea to try putting fresh savoury under the skin though. May try that this summer.